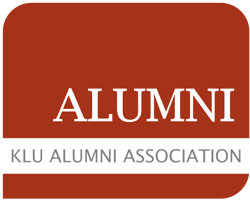 Meet the Pros at KLU - Kühne Logistics University Alumni e.V. Please note: This event is mandatory for Prof. McKinnon’s courses “Sustainable Logistics” and “Transportation and Distribution”. There are 20 open places. Please note: This event is mandatory for Prof. Becker’s courses “Value-based Marketing” and “Marketing”. Students of these courses are automatically enrolled for this event. There are 40 open places. Please note: This event is mandatory for Prof. Himme’s course “International Financial Accounting”. Students of this courses are automatically enrolled for this event.